The sun is setting on High Street, taking what’s left of the day’s scant warmth with it. This fact alone gives speed to my saunter as I make my way towards the Sidney Lanier Cottage. The thought of all those made-from-scratch cookies, cakes and quiches inside getting sold before I can take my pick urges me to pick up the pace a mite more. 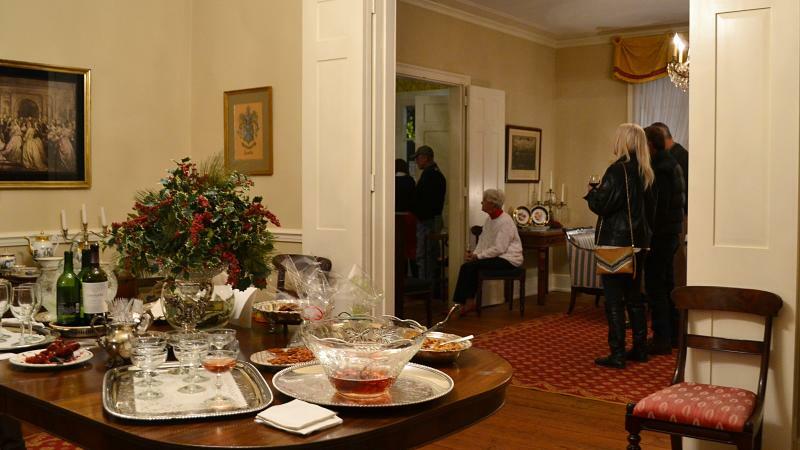 Inside 935 High Street, it’s as cozy as a cricket – warm and bustling with fellow holiday revelers and members of the Historic Macon Foundation (HMF) who work there. Some are employees, others are volunteers. Almost all are crowded into the front two rooms located just off the front entrance, a refined “visiting parlor” to the left and a main room to the right. For most of the minglers, this isn’t their first Cottage Christmas Bake Sale, and likely won’t be their last. 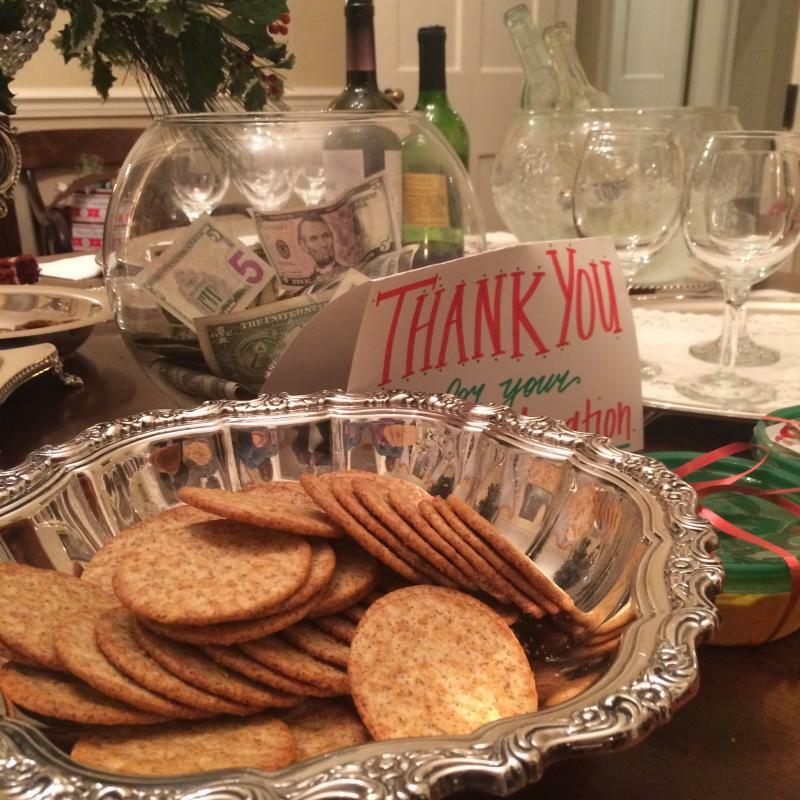 The annual fundraiser billed as “Macon’s sweetest holiday tradition” is, in fact, just that. In more ways than one. After being warmly greeted by a docent named Kim, and edging my way around a couple of stalwartly planted mavens, I’m relieved to lay eyes on a sizeable round-topped table still fairly packed with goodies for sale. Each delicious item has been cut or portioned into individual serving sizes and carefully placed on jolly little paper dessert plates and sealed into festive cellophane bags tied with foil twisty ties. In one sweeping glance, I take in brownies, sugar cookies, sliced pound cake, salty homemade snack mix, gooey chess bars and other buttery confections so rich and calorie-filled I can practically feel a new dress size creeping on right then and there. But everyone knows that calories don’t count at Christmas, right? At least that’s what I tell myself as I compare price tags, mentally count the coins in my purse, and breathe in the sweet perfume of a Southern Christmas – sugar, good vanilla, frosting and flour. Everything here has been donated by the good-hearted and talented holiday bakers of Macon. All money raised by the sale each year is used to help fund the daily endeavors of the HMF, and further the important work of preserving Macon’s rich store of historic structures – which range from current or one-time private residences like this one to retail space to industrial districts of yore. It’s a job Sidney Lanier would have appreciated. Though the Civil War veteran, one-time blockade runner, musician and poet did not die in this charming little Intown cottage, he was born in it. And no doubt these walls and this city shaped him. Truth, Mr. Mims – truth. Though the complimentary beer, wine and punch are plentiful here today, along with mandatory (but tasty!) 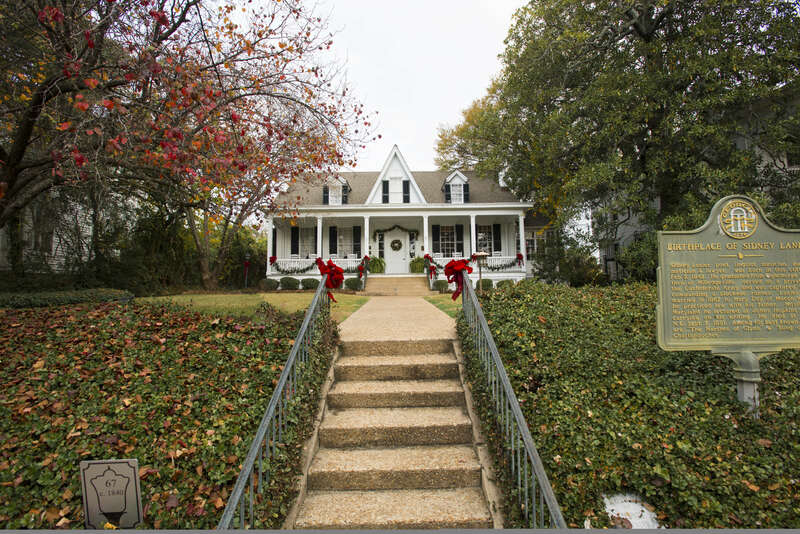 tubs of pimento cheese, spiced pecans, sliced red velvet cake and other assorted nibbles, the folks who have turned out and paid their $5 admission fee into Cottage Christmas aren’t here for the free hors d’oeuvres or even the entertainment. 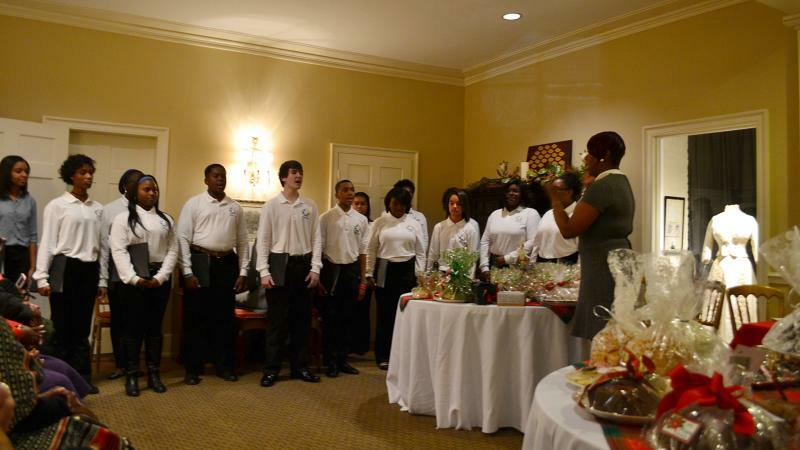 Which as it happens if the Otis Redding Foundation’s DREAM Choir, and quite a talented group of carolers. And it’s a reasonable bet that most almost everyone here has probably got more Christmas cookies at home already than they can possibly eat. No, these good of people, who range in age and color and shape and style are here to support the work of the historic foundation, and to help prop up the pillars of Macon’s past for as long and as enthusiastically as they are able to do so. Even if that’s through the simple act of purchasing a $5 tub of pimento cheese, a slice of cake or a plate of cookies. It is, after all, the most wonderful time of the year in the best city in all of Georgia and holiday traditions, like centuries’ old houses and a rich and storied past - are meant to be preserved.